Forbes chose 13 Egyptian startups among the 100 top ones with "Vezeeta" for booking physicians and clinics at number 5. The startup scene in the Arab world was never as booming as it is now. More and more private businesses are investing in startups with UAE, Egypt and Lebanon in the lead of the scene. 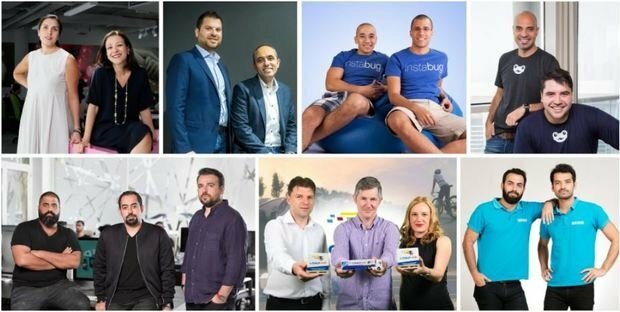 Forbes Middle East released its top 100 Startups in the Arab World list where 13 Egyptian startups were listed. The Egyptian startup Vezeeta came at number 5 on the list. The Vezeeta platform is used for digital healthcare booking. The second Egyptian startup came at number 40 and it was "Instabug" a tool for spotting glitches and bugs in apps. "Edfa3ly" came at number 43 which facilitates online ordering and payment. "Yaoota" for comparing prices came at number 48. Other startups that made it to the list are Wuzzuf, Eventtus and Elmenues among others. The rank 100 was also saved for an Egyptian startup called "Zee3" used for talent scouting. The first on the list was Fetchr for GPS based shipping which is based in UAE, followed by Anghami the Music streaming platform.